Back Forty Artisan Cheese is an 11 acre sheep farm nestled in the pristine folds of the Ottawa valley. 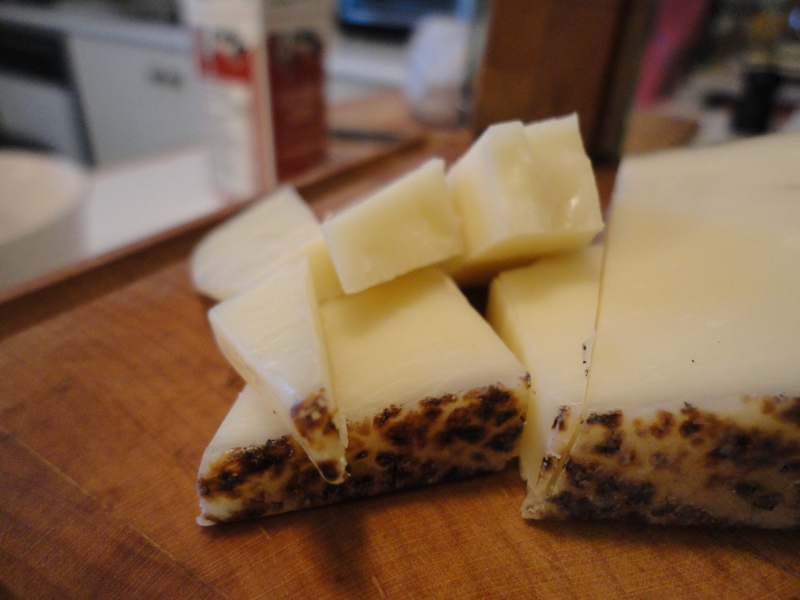 The owner, James Keith, makes a few different types of cheese but Bonnechere is my favourite. This cheese starts out with a light lactic aroma and ends with a tangy, pineapple punch. It’s creamy, melt in mouth texture coats the back of the throat, begging to be washed down with a a glass of fruity red wine. I nibbled on some this morning with my coffee as I thought the sour, toasty rind would pair well, and it did. Back Forty adapted a traditional technique from the Basque region to torch Bonnechere over an open flame. This creates a unique, almost reptile-like rind that just happens to be very tasty. The last I read in a blog by The Canada Cheese Man, James was looking to sell his farm and the Back Forty business. I won’t lie, the thought of buying it crossed my mind many times that day, but I don’t think I’m ready for the life of a cheese maker. It’s kind of like having babies, except the cheese doesn’t cry. I truly hope Back Forty finds someone to carry on their legacy of excellent cheese affinage.